Telops specialises in the design and production of sophisticated opto-electronic systems for the defence, environmental and research industries. 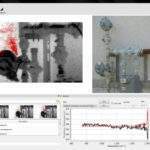 As a leading supplier of high-performance infrared and hyperspectral cameras, the company provides customised solutions for thermal and hyperspectral imaging. The Hyper-Cam is an infrared hyperspectral camera that provides standoff chemical detection and identification at a distance of up to 5km. 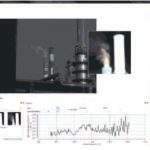 This advanced spectrometer enables users to measure different spectrums, before comparing them to the signatures of known gases and solids. 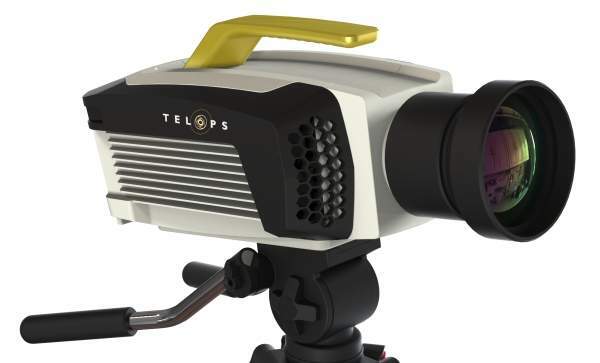 Telops provides five types of scientific infrared cameras. 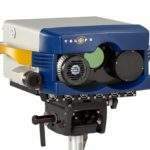 These consist of HD-IR, high-definition infrared cameras, FAST-IR rapid frame rate cameras, an MS-IR series of multispectral cameras, HDR-IR series of high dynamic range cameras, and a versatile infrared camera series named TS-IR, which offers exceptional accuracy and sensitivity. 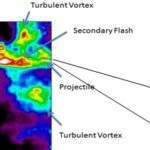 FAST-IR infrared cameras provide high-speed thermal imaging with a temporal resolution at a rapid frame rate. 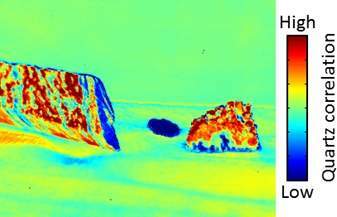 These high-performance infrared cameras are extremely sensitive enabling the detection of challenging targets. They self-adjust to rapid temperature changes and have an enhanced identification capability using spectral characteristics. 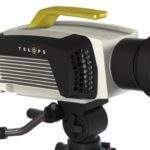 Telops’ HD-IR 1280 infrared cameras are high-resolution scientific cameras, which allow the analysis of events or targets with the highest possible detail by producing sharp, crisp images using a 1.3MP infrared camera. 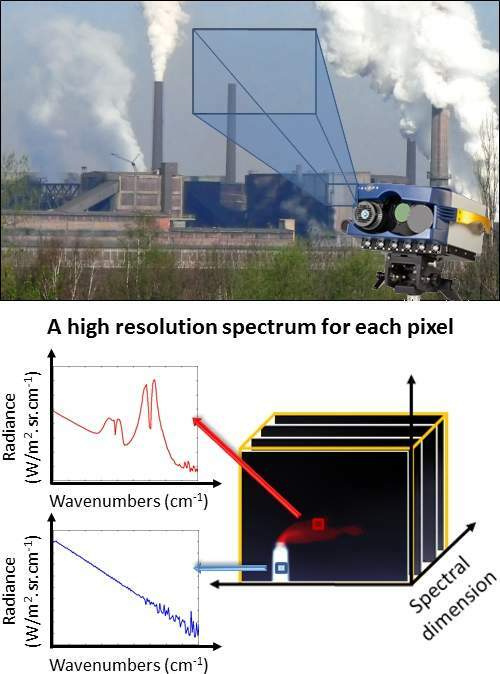 The high sensitivity and possible multispectral capabilities of the camera make it the ideal tool for applications, such as surveillance of vast areas and airborne mapping. 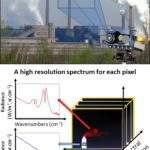 The MS-IR infrared cameras allow the user to split the scene signal into eight different spectral bands, rather than only one broadband image, allowing spectral signature analysis. The filter wheel is a fast-rotating mechanism designed to maximise the frame rate and can be used in either fixed or rotating mode. Rotating speed is user-adjustable up to 100Hz and can support a frame rate up to 800Hz. 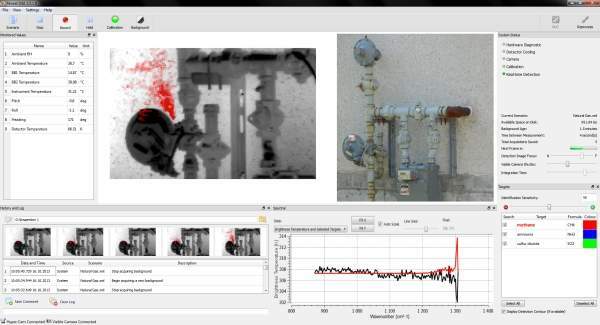 Telops’ HDR-IR cameras compensate for extended scene temperature ranges. They have maximised camera sensibility and minimised NETD for any static or dynamic scenes. 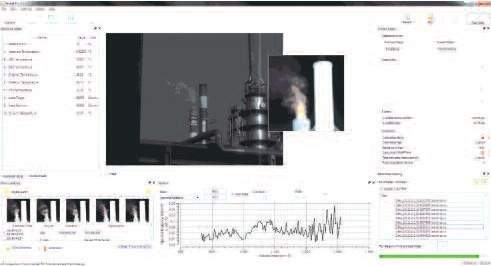 It finds the best exposure time according to the scene and can resolve targets up to 2,500°C automatically. 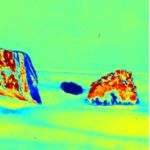 The TS-IR infrared cameras are versatile, scientific, infrared cameras, which offer exceptional image accuracy and sensitivity. Their rugged enclosure has been designed for the most demanding environments. 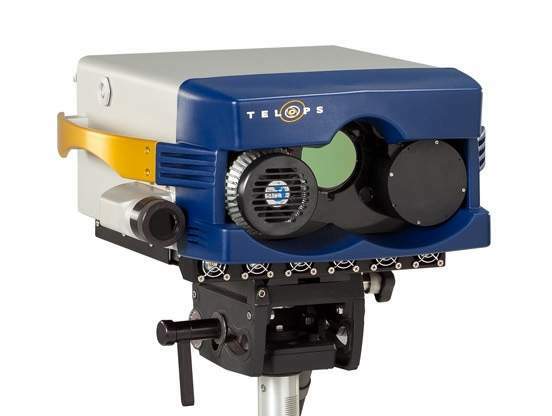 Telops also offers research and development services for optical system development. Telops experts deliver significant expertise in opto-electronic systems engineering, with full disciplinary specialism in optical, mechanical, electronics, thermal, software and system engineering. 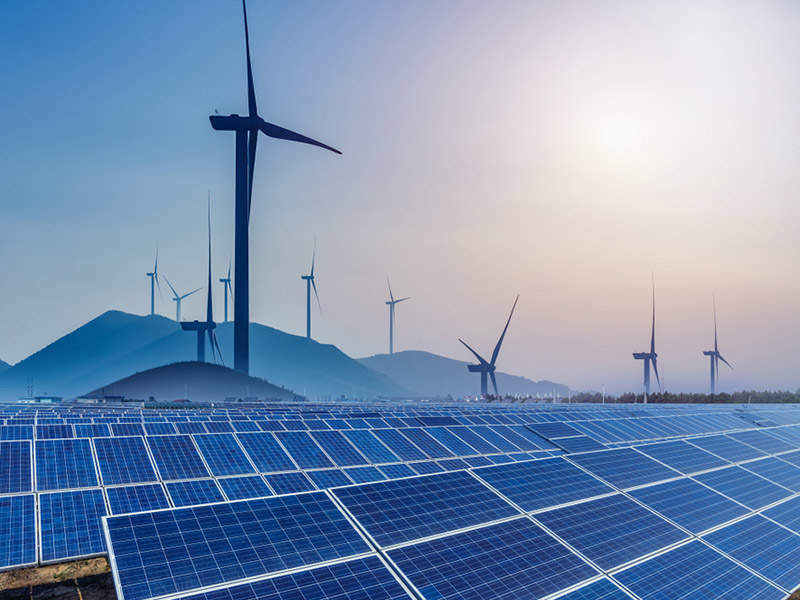 The company works closely with its clients and scientists to develop customised optical solutions for infrared remote sensing, spectrometry and cryogenic and ruggedised optical systems, as well as dedicated imaging and calibration systems.